Smart use of data insights can identify struggling households and give councils the information they require to offer proactive, tailored support where it's needed, and where it will have the most effect. With falling income and rising demand, two councils are using their data in innovative ways to identify vulnerability, target scarce support funds and prevent crisis before it happens. The different approaches Barking and Dagenham and Luton councils have taken to prevention, enabled by a Policy in Practice LIFT Dashboard, were featured in The MJ recently. On Monday 1 April changes to the national living wage, housing benefit regulations, LHA rates and local council tax reduction schemes came into effect. More changes, such as the new tax rates and DWP benefit regulations, are still to come in April (6 and 8 respectively). As we do every year, we've made these changes automatically in our Benefit and Budgeting Calculator for our clients. From May 2019 new claims for pension credit can only be made by couples where both partners are of state pension age. For many mixed-age couples, Universal Credit will be considerably less generous than pension credit and the younger partner will usually be expected to work. Local authorities can target these people to drive take-up of pension credit among mixed-age couples before May. After then they must claim Universal Credit which may mean they get less income and have conditionality imposed. From July 2019 self-employed households moving onto Universal Credit won’t be affected by the minimum income floor for the first 12 months of their claim. Local authorities who identify self-employed households that move onto Universal Credit can make sure they’re aware of the 12 month period before the minimum income floor comes into effect and help to build their financial resilience. Early intervention is vital to keep children out of poverty and linking datasets can build a better picture of child vulnerability. Directors of Children's Services and Heads of Revenues and Benefits can identify need, target support and track change using their linked data. The Children’s Commissioner Office recently highlighted the importance of understanding the wider family context if vulnerable children are to be identified early. Deven Ghelani discussed how data analysis can identify children who are vulnerable at a recent symposium on Tackling Child Poverty. He talked about how data analysis can be used to identify children who are vulnerable now and who are likely to be so in the future. We're hosting a webinar on how data can be used to understand child vulnerability on Wednesday 17 April. We'll be joined by Haroon Chowdry, Head of Analysis at the Children's Commissioner's Office and would like to see you and your Children's Services and Housing Options colleagues there (please share). 90% of English councils made changes to their CTRS schemes last year, almost all of them cuts. But, as Universal Credit rolls out, how should councils change their schemes, in order to protect their most vulnerable residents? 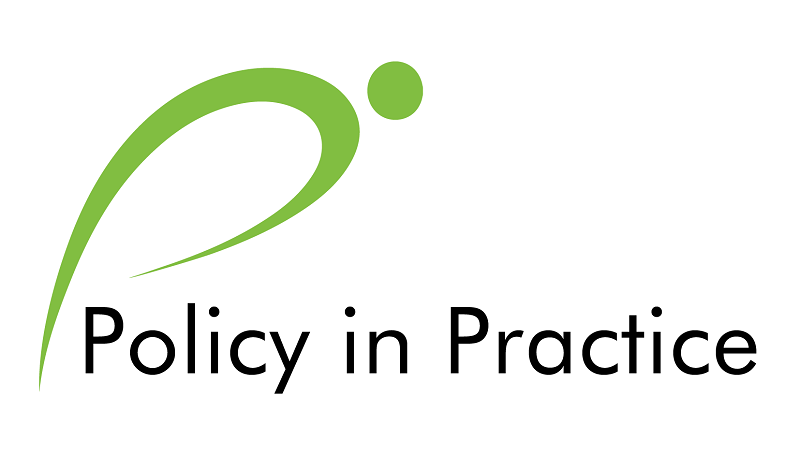 Policy in Practice’s Zoe Charlesworth and Megan Mclean talked to Allan Clark, Barnet Council to learn how they’re changing their council tax support scheme for Universal Credit and how Policy in Practice’s Council Tax Support Scheme modelling helped. Policy in Practice's Commercial Director, Jade Alsop, hosted an interactive workshop at this month's London Homelessness Conference about how predictive analytics can help tackle homelessness. Delegates heard about vanguard work that Croydon Council and Luton Council have done and took part in discussions about how administrative datasets can be interrogated for social good and used, by local authorities, to identify vulnerability, target support and track change. Children’s service datasets lack information on the family context, making it hard to identify vulnerable children before they come into contact with care services. By modelling the cumulative impact of welfare policy using household level datasets we can show the impact that specific policy reforms such as Universal Credit, the benefit cap and the two child limit will have on levels of child vulnerability. Local organisations who deliver frontline support play an important role in helping people get ready to move onto Universal Credit. The rollout of Universal Credit means there is more pressure on support organisations to make sure their customers are prepared for the changes ahead. Can't make the dates? Register anyway to automatically get the recordings and slides.